Created in 2013. 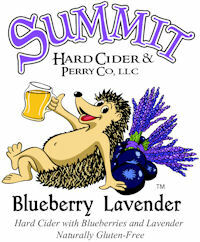 We are a locally owned bar that focuses on hard cider. We make our own too as well as yummy sandwiches on bread that we serve hot and make from scratch daily. We also carry some amazing beers, a little bit of wine and can do mixed drinks. Cheers from the Scrumpers! At Scrumpy’s we specialize in ciders. We are now fermenting and kegging our own ciders on site, and we have four on tap from which we can fill liter growlers! In total, we’ve currently got 18 ciders on tap from around the world. We offer the widest variety of ciders that we can and are always expanding our selection with the best cider’s we can get our hands on. We also serve toasted subs on bread baked fresh daily as well as assorted appetizers and sweets. All cider is naturally Gluten Free, and we can also do Gluten Free food options as well, you only need ask!